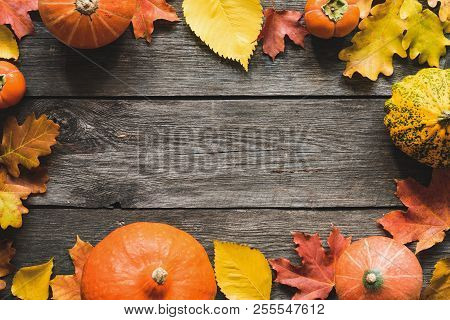 Autumn Background Fallen Maple Leaf Pumpkins Frame. 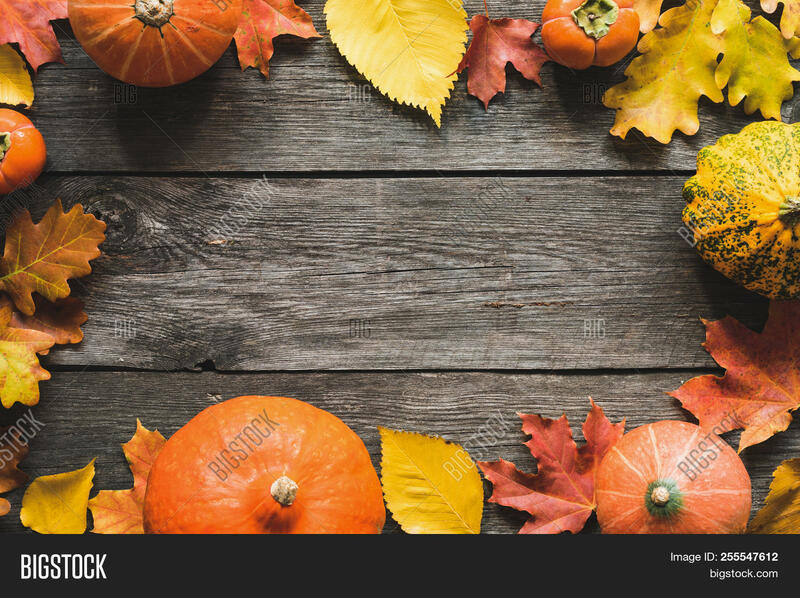 Thanksgiving Day Background, Halloween Background, Fall concept. Copy Space For Text.